PATNA: Janata Dal United (JD-U) vice-president Prashant Kishor n Friday announced giving up his responsibility of poll strategist in a huge setback to the party ahead of polls. Kishor who joined the party barely six months back made this announcement through the social media platform, indicating the ongoing power struggle within the party. “The NDA is fighting strongly in Bihar under the leadership of Modi and Nitish. On part of the JD-U, the responsibilities of poll management and campaign are on the broad shoulders of senior and experienced leader RCP Singh. In this initial stage of my political career, my role is to learn and to cooperate,” Kishor tweeted in Hindi. According to reports in the local media, Kishor had been facing challenge from a section of the party leadership soon after he joined the party. The conflict came out in the open when he said “if he can help in making PM and CM, I can also help Bihar youths become MP, MLA and Mukhia”. The remarks drew strong protests from within the party. 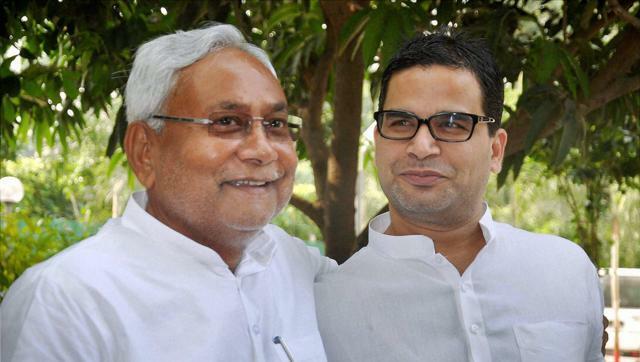 ALSO READ: Has JDU poll strategist Prashant Kishor grown too big for his boots or…? But, what apparently irked the top party leadership was his remark that “ideally, the chief minister should have sought a fresh mandate for forming government with the BJP”. As such, he had hit at the root of chief minister Nitish Kumar who had brought him in the party and then appointed him as party vice-president within hours of joining the party. Kishor is credited with drafting poll strategy of chief minister Kumar in the last 2015 assembly elections which the later won with historic mandate though political experts say the strategy worked just because of solid vote support of the RJD which has huge following in the Yadav and Muslim communities. Two years after winning elections, Kumar dumped the RJD midway and formed his new government with the BJP’s support.